There's a new version of Android rolling out in beta, and it doesn't seem to change much. One thing we've spotted is an improvement to setting live wallpapers. 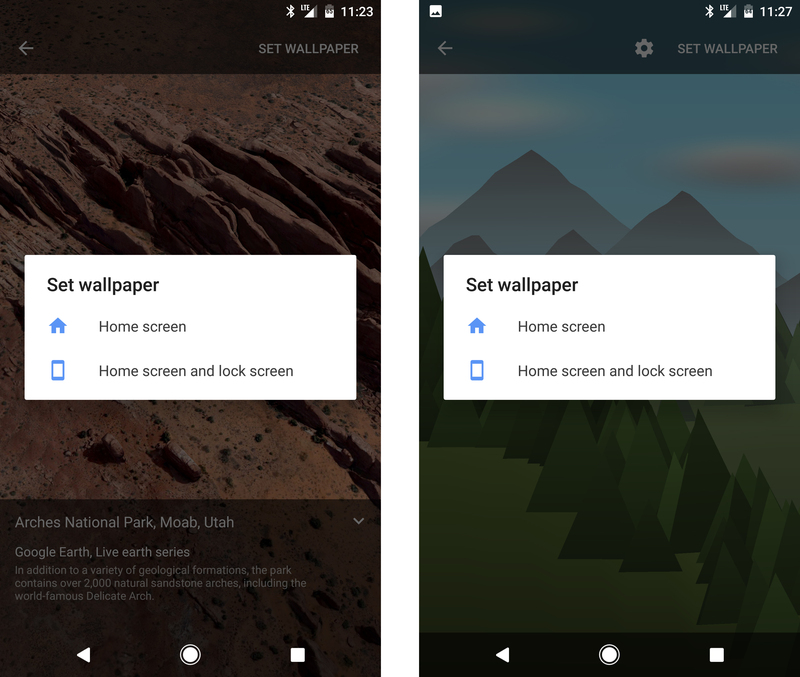 A year ago it seemed like Google was going to let live wallpapers die, and now here we are. Now, you can pick where they'll be applied in Android 7.1.2. Previously, setting a live wallpaper (not a static one) would simply apply it everywhere. Android 7.0 included the option to choose the location for static images, and 7.1.2 extends that to live wallpapers as well. This works on built-in wallpapers as well as those installed from the Play Store. So, you can have a live wallpaper on the home screen while leaving a static pic on the lock screen. We've tested this on the beta and on 7.1.1, and it's only showing up in the new build. We can't rule out that this is related to something else like Play Services, though.